Robust strategies for sustainable resource management depend on a solid understanding of the physical economy – the anthropogenic stocks and flows of matter and energy. 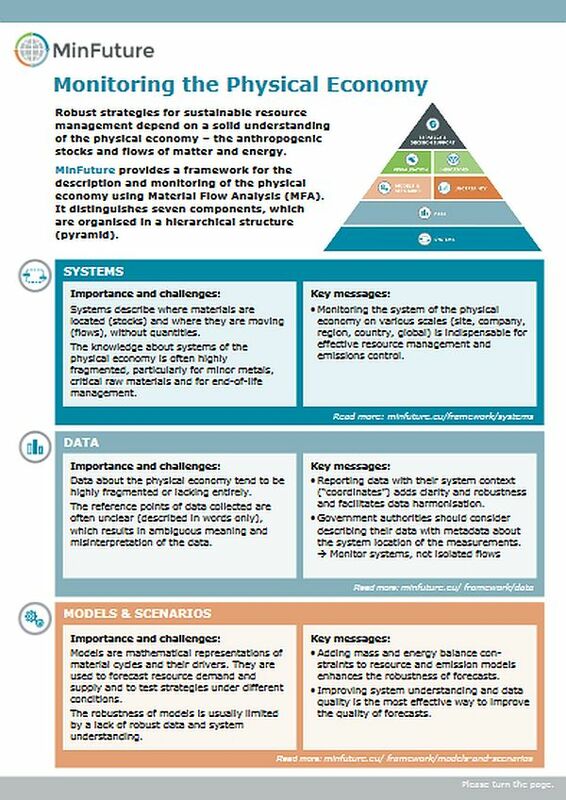 MinFuture provides a framework for the description and monitoring of the physical economy using Material Flow Analysis (MFA). It distinguishes and visualises seven components, which are organised in a hierarchical structure (pyramid). This factsheet presents the framework and summarizes the project results. MinFuture project (2018). The MinFuture framework. 2-page document.